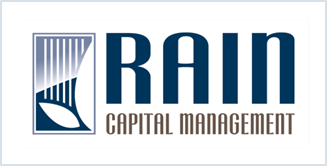 Rain Capital Management | “Assessing Risk Through Environmental, Social and Governance Exposures,” AQR Capital Management, LLC. AQR is generally known as a hard-nosed investment management firm largely focused on quantitative analysis and is best known as an early adopter of factor investing. So, it was a bit of surprise to the investment world when they published this piece on environmental, social, and governance (ESG) investing, a realm historically dismissed as too soft –lacking in hard data and consistent measurement – to take seriously. AQR’s take on the space is particularly interesting. Authors Dunn, Fitzgibbons and Pomorski find strong evidence globally that incorporating ESG factors into an investment strategy can yield important information about otherwise hidden risk exposures. The authors find that stocks with bad ESG exposures are significantly riskier than those with good exposures and that certain ESG factors, like governance, are associated with better returns overall. They demonstrate that the value of incorporating ESG factors into investing extends well beyond ethical considerations, particularly for investors interested in constructing a safer portfolio.